2016 Donor Profiles - IEEE Foundation, Inc.
Julian Bussgang admires the work of the IEEE Foundation and has found a "painless" way to give. As a member of the Life Members Committee, Julian realized how much IEEE relies on donations to fulfill its mission. The IEEE Foundation supports many valuable educational and technological advancement programs, which encourage students and engineers worldwide to learn, innovate, and document engineering topics. "It is very important that such programs continue, both to train the new generation and to encourage progress," he says. Having reached his 70 and ½ birthday, Julian has the opportunity to support the Foundation by giving through the IRA Charitable Rollover provision. For donors his age, the federal law requires annual reductions of money saved in the IRA accounts. The IRA Charitable Rollover allows withdrawals tax-free on the accumulated gains, up to a total of $100,000, which may be donated to qualified charitable organizations. It is a wonderful and "painless" way to make donations! Julian joined the Institute of Radio Engineers, which later merged into IEEE, because he wanted to connect with colleagues. The benefits for him include the meetings and publications, as well as the professional connections. His fondest memories from IEEE membership include participation in the Information Theory Society Committee and conferences. Later, as Chair of the Boston Section, he enjoyed meeting with local colleagues to plan the Section activities. Julian says he especially admires the work of the IEEE Foundation, the Life Members Committee, and the History Center in Hoboken, NJ. His donations to the Foundation support them. As a professor of Electrical and Computer Engineering at the University of North Carolina, Charlotte, USA, and IEEE Director and Delegate, Region 3, Jim Conrad spends his life developing and sharing the technological advances that impact our lives. Jim joined IEEE as a graduate student in 1984, and to this day, still benefits from the technical meetings. 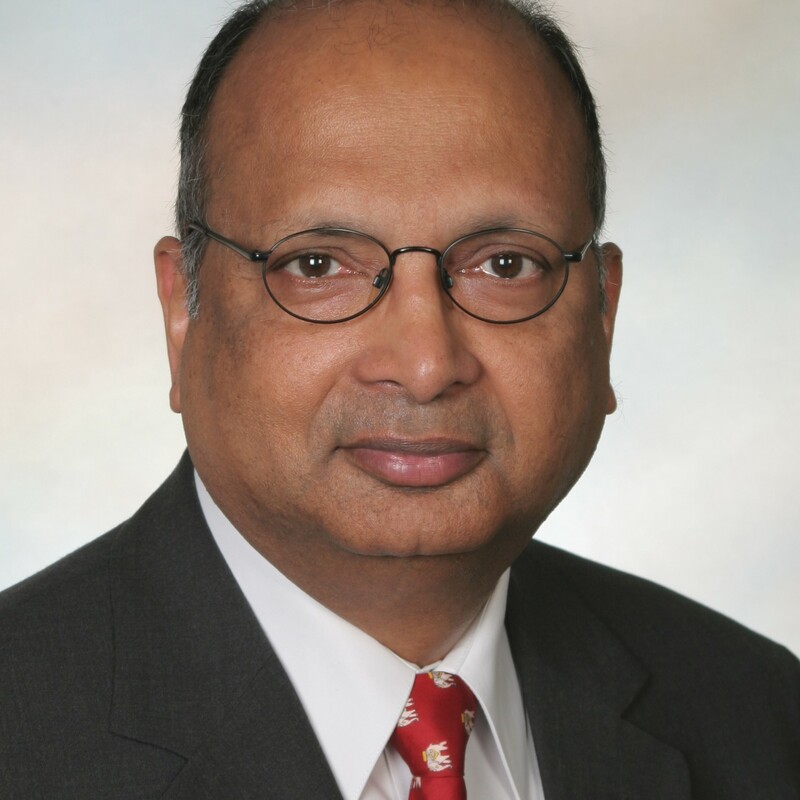 He has served on various IEEE boards and committees throughout his career. Now as a director and delegate, he recognizes and appreciates the leadership and organizational skills he has learned and practiced with IEEE. 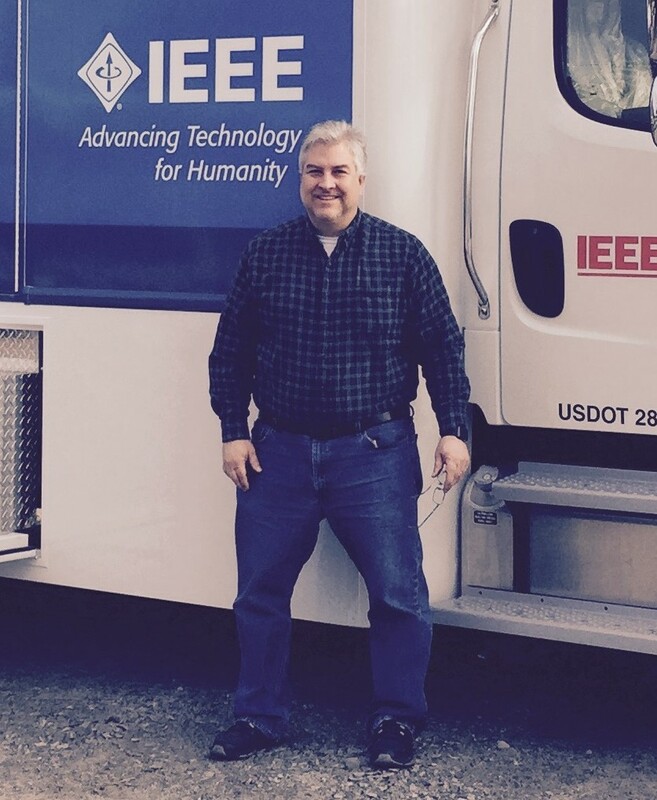 Jim's first donation to the IEEE Foundation was made in memory of a former Region 3 director, but his current donations go in part to his favorite project, IEEE-USA's Community Outreach Initiative -- MOVE, which stands for Mobile Outreach Vehicle. MOVE provides support for local communities affected by natural disaster. In August 2016, Jim also volunteered his time and talents and deployed with IEEE-USA MOVE to the flooded area in Baton Rouge, LA, USA. The mobile emergency vehicle, providing short-term communications, computer, and power solutions, brought connections to thankful victims and volunteers at the Red Cross shelter. "We all benefit from technological advances made by members and others in our discipline. Whether supporting communities in need or advancing technology for the general good, the IEEE Foundation's work touches us all," said Jim. For Cynthia Dent, senior accountant for the IEEE Foundation, the Foundation is much more than an employer; it's an important player in the local and global community through its service-oriented work. The Foundation's commitment to humanitarian and educational programs inspires her work as well as her financial support. "I believe that EPICS (Engineering Projects in Community Service) in IEEE is a great program. It provides students with many learning opportunities within local communities and also assists in bringing engineering assistance to community improvement efforts." EPICS in IEEE, a Foundation Priority Initiative, delivers on the IEEE core mission of fostering technological innovation and excellence for the benefit of humanity. Cynthia supports access, education, outreach, environmental, and human services the Foundation offers through programs such as EPICS. She has also contributed to the IEEE Smart Village Fund. This program stimulates social enterprise by providing renewable electrical systems, start-up training, and ongoing support to help poor, energy-deprived communities around the world build toward sustainable prosperity. 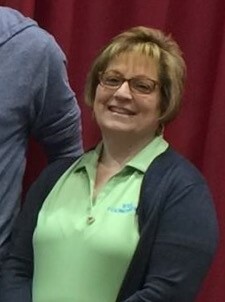 To keep the work and mission of the Foundation alive and well, Cynthia encourages members and staff alike to support the Foundation's work. John's first career as a general building contractor ended abruptly during an economic slump. With a wife and four children to support, returning to school posed a challenge. John relied on grants and scholarships, including the IEEE Power & Energy Society (PES) Scholarship Plus Initiative (2012-14), to make it possible. He received financial support, a mentor and countless opportunities to network with IEEE members. Encouraged by his first mentor, a power industry professional, John joined IEEE during his first year of college. He used the membership to build a network in the industry. Later, at a PES Scholarship Plus event at an IEEE-PES General Meeting, he met Burns & McDonnell VP Mike Beehler, an employer he wouldn't have considered without that propitious meeting. John now works for Burns & McDonnell. John seeks to inspire future power engineers through his experience and charitable giving. He and his wife give to the fund that launched his career: the IEEE PES Scholarship Plus Initiative Fund. He knows the importance of modernizing the power infrastructure and educating engineers for future challenges. John said, "I truly believe in giving back and know that the IEEE Foundation is providing for the future of our industry." John credits support from the IEEE Foundation with motivating him to become personally involved. He served as the PES-Young Professional (YP) Region 6 Representative, and as of 2016, the PES-YP committee chair, helping to engage more engineers with IEEE as well as encouraging kids (including his own) to consider careers in the power industry. 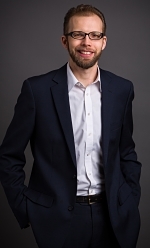 Dr. Hagen Hultzsch, of Bonn, Germany, joined IEEE to gain connections to like-minded individuals. He especially appreciates the information sharing opportunities of IEEE publications and meetings. He is a steadfast donor, supporting both the Foundation Fund and the IEEE Life Members Fund, for more than a decade. Both of these funds provide unrestricted support which enables the IEEE Foundation to invest in the most impactful programs of IEEE. Hagen studied Physics and Nuclear Physics at Johannes Gutenberg University, Mainz and taught at Mainz University. He founded EARN, the European Academic and Research Network, for which he also served on the Board of Directors. Hagen's distinguished career includes more than 40 years of management experience in information and telecommunications technology. Among others he currently serves on the boards of Exceed AG and TSI-SfR. Previously, as a member of the Management Board of Deutsche Telekom, Hagen developed T-Systems and T-Venture, two of his major contributions to the industry. 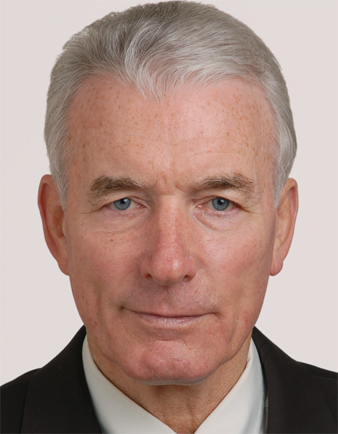 Hagen also served as CIO of Volkswagen, and held various executive positions at Electronic Data Systems and GSI, a German research organization. The Boards of more than 20 technology companies and academic institutions in the United States and Europe count Hagen among their distinguished board members, including ICANN. Hagen views IEEE as the foundation for a global network of innovative individuals, and says, "IEEE significantly contributes to the progress of our global society. Member support is vital to supporting that mission and continuing to build a strong organization for future innovators." 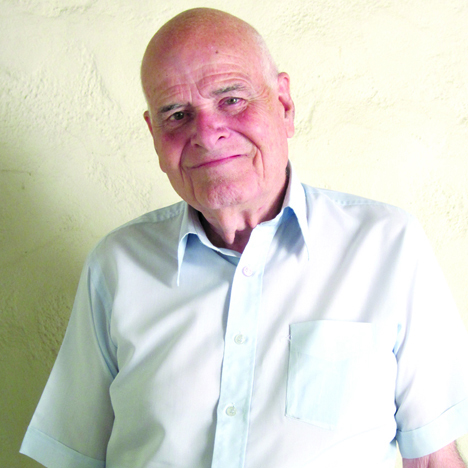 In 1952, Palmer Langdon took a class in electronics at Los Angeles City College. Thus began a life-long commitment to the electronics industry and a special appreciation of the practical applications of technology for those in need. As a firmware engineer, Palmer's first introduction to IEEE was using standards data sheets to write eight-bit assembly code to serial interface the MagTek Magnetic Credit Card Reader to an IBM Personal Computer. In the early days, he used the RS-232 and PS-2 Wired Keyboard Standards. As use of these standards declined, new ones were added: USB, Bluetooth, and WI-FI. Updated standards revolutionized the work of electronics engineers, making custom interfaces obsolete. Though not a member of IEEE, Palmer finds inspiration in IEEE outreach to promote STEM careers and the work of the History Center to preserve and share the history and development of electronics and electrical engineering. He donates annually and has generously added IEEE to his will and is therefore a Forever Generous member of the IEEE Goldsmith Legacy League. In IEEE's work, Palmer has also found a convergence of his philanthropic and professional interests. He has chosen to continue his mother's support for blind and handicapped children. Palmer regularly volunteers at the Braille Institute refurbishing MP3 and cassette players for the blind and handicapped to enjoy audiobooks. He also supports Junior Blind of America, another Los Angeles-based charity for blind and vision-impaired children. Abesh joined IEEE in 2010 when he transferred to California Polytechnic State University. A friend had described IEEE as "a church for electrical engineers" and joining seemed like logical choice. Abesh benefits most from attending technical presentations and workshops organized by the various societies of the IEEE. However, the program dearest to his heart, which has impacted his life directly, is the IEEE Power & Energy Society (PES) Scholarship Plus Initiative. The PES Scholarship, which Abesh received in 2011, played a significant role in shaping his career path. The program requires students to complete an internship in power engineering which motivated Abesh to research and later seek an internship at Pacific Gas and Electric Company (PG&E). The experience convinced him to pursue a career in power engineering. 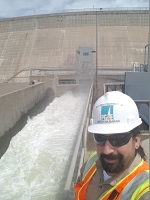 Today, Abesh says the work he does at PG&E is meaningful, challenging, and enjoyable. Supporting the PES Scholarship allows Abesh to show his appreciation and hopefully play a role in helping and encouraging others to pursue power engineering as a career. He supports the IEEE Foundation through the PG&E annual Campaign for the Community and the company matches contributions up to $1,000, thus amplifying the impact of employee donations. Abesh admits a common trait among engineers is the drive to constantly improve and optimize. Similarly, he says, "the IEEE Foundation encourages and supports efforts to improve and optimize technology for mankind. It's definitely a cause worth supporting and one that fits an engineering mindset!" Jim Palmer joined IEEE while attending the University of California, Berkeley to network with other students interested in Electrical Engineering. 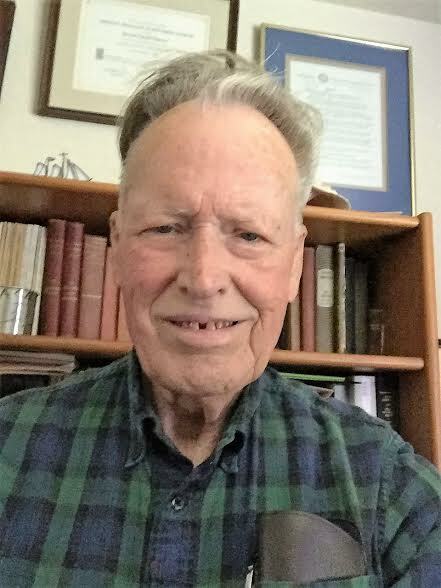 Since joining IEEE more than 50 years ago, Jim has received his Ph.D. from the University of Oklahoma, where he started his career as Assistant Professor of Electrical Engineering and later served as the Director of the School of Engineering and Director of Systems Research Center. "The professional contacts and conferences gave me the opportunity to meet with other professionals in the field and learn about the other aspects of IEEE. 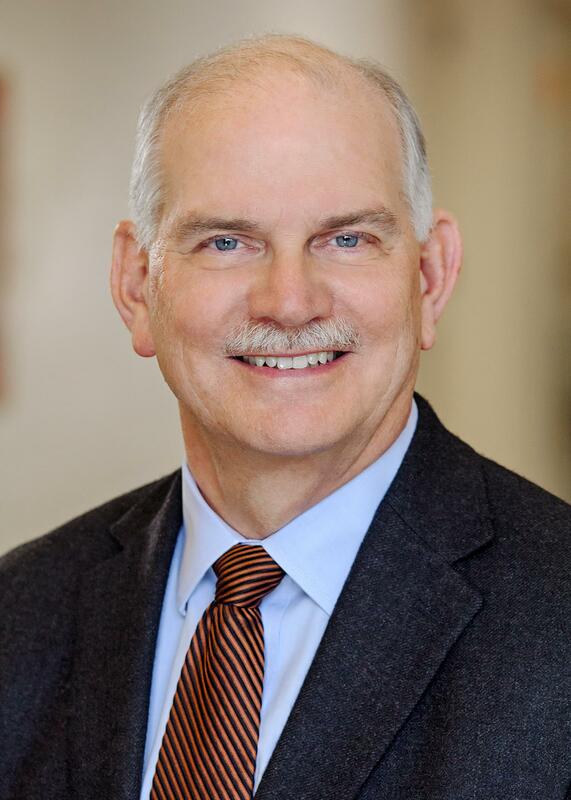 As a new faculty member, IEEE membership provided the opportunity to publish research work and share findings with others working in the same or related areas," said Jim of the value of his IEEE membership. Through networking with another IEEE member, Jim was introduced to the IEEE Foundation. When asked why he believes IEEE members should support the IEEE Foundation, Jim replied, "The Foundation supports so many important programs that reinforce the best that IEEE can do to provide for those in need and to broaden the scope of member activities. "As an annual donor to the IEEE Life Member Fund of the IEEE Foundation, Jim sees the Foundation growing and prospering through the generosity of members. He said, "the Foundation supports emerging countries, student activities, and a widening of the membership to be more inclusive and representative of the society as a whole, thus is worthy of support from all members regardless of grade or interests." "The world of engineering is advancing so rapidly that under-developed and partially developed countries have difficulty implementing and using the technology advancements of the developed world," according to Prof. Arogyaswami Paulraj, Professor Emeritus at Stanford University. But he believes IEEE and the IEEE Foundation, with numerous experienced members and retirees, can help close the technology gap. A recipient of the Alexander Graham Bell Medal and the Marconi Prize, Arogyaswami served in the Indian Navy for 25 years, where he gained basic engineering training. He learned of IEEE whilst working on his PhD at IIIT Delhi in 1969. He joined IEEE in 1984 when he was a visiting scientist at Stanford University and attended IEEE events where he realized that IEEE is "the place for research publications, conferences, and standards." Arogyaswami and his wife support several science and technology causes and institutions including IEEE. They believe, "giving back to IEEE is a way of giving forward to future generations." Specifically, they give to the Claude Shannon 100th Birthday Celebration Fund. Shannon made crucial contributions to the information sciences and Prof. Paulraj hopes the documentary will inspire both current and future engineers. A native of India, he is inspired to support the work IEEE does to engage young electrical engineering students in India and around the globe. Paulraj appreciates IEEE's work to reach under-served populations and women to attract them to careers in engineering. As a retiree himself, he also welcomes IEEE's outreach to retired engineers to advance the work of IEEE. Vince Poor believes electrical engineers have the potential to make great contributions, so he gives of his time, talents, and financial resources to make that possible. Vince Poor joined IEEE as a student. He maintained his membership for the value he finds in having a technical community outside his local network at Princeton University. 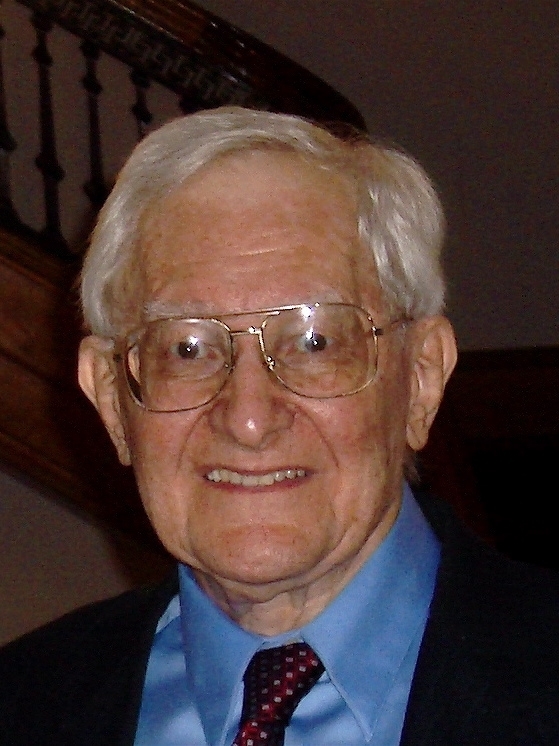 In his view, the publications, conferences, and communities built through IEEE society memberships have benefited his career and enriched his students' education. Vince's research activities are focused on advances in several fields of rapid technology development, notably wireless networks, energy systems and social networks. He received the prestigious IEEE Alexander Graham Bell Medal in 2017 and has received recognition of his service and achievements from several IEEE societies. Giving to the IEEE Foundation provides one of the best opportunities to support the good work of future engineers. Vince has directed his gifts to the Claude Shannon's 100th Birthday Celebration Fund to inspire future engineers. Claude Shannon's work created the field of information theory. IEEE, with the help of generous donors like Vince Poor, is celebrating his life and sharing his pioneering work through a documentary on the occasion of his 100th birthday. Vince gives back to IEEE in many ways, including his service to the IEEE Board (1991-92), multiple IEEE award committees, the Board of Governors of the IEEE Information Theory Society and the IEEE Foundation Board, which he joined in 2015. Through his service and generosity he serves as an example to future engineers.